Good office design is an investment more companies are choosing to capitalise on. Aside from elevating the space’s visual appeal, it adds value to the business itself. According to Helene Segura, a productivity consultant, a workspace’s design is a major contributing factor to a company’s productivity and efficiency. In recent years, global companies such as Facebook and Coca-Cola have partnered with design and architecture firms for disruptive office designs that are reflective of their respective industries and brandings. This, along with the potential of improving business performance, has inspired other business owners to follow suit. Branding plays a major role in establishing a company’s identity in its industry. This is why more savvy business owners are choosing to design their offices to be reflective of their brand. A consistent branding message fosters trust and familiarity. It gives employees, business partners, and clients a better understanding of your business’ core values and it unifies the company culture. More importantly, integrating this identifier in your office design enables you to set yourself apart from your competitors in the industry. Most adults spend the majority of their time in their workplace. Making this space comfortable while maintaining a conducive work environment is a balance that many business owners are trying to achieve through office design. The function should inspire, according to advertising expert Ted Dahnik. Utilising your employees’ personal work preferences and the company culture into your office design works to influence the mood and atmosphere in your office; thus, resulting in employees who are happy to be at work and are motivated to do their jobs well. Employee productivity is a major determining factor in how well a business performs. Providing your employees with an office space that reduces stress and improves their state of mind encourages them to be more creative which can lead to better productivity. This then leads to better business performance and more successes for your company. Purposeful and good office design is able to support strategies, accommodate processes, and embody the company’s core values. Part of achieving this is acknowledging the fact that an office is more than just space where employees come to work. It is a space where ground-breaking ideas are discovered and innovative business strategies are created. Improving this space through interior design empowers a company and its employees to reach their full potential. Zircon Interiors believes that design breeds mood and fuelling your space with an atmosphere of motivation encourages your employees to excel in their work. 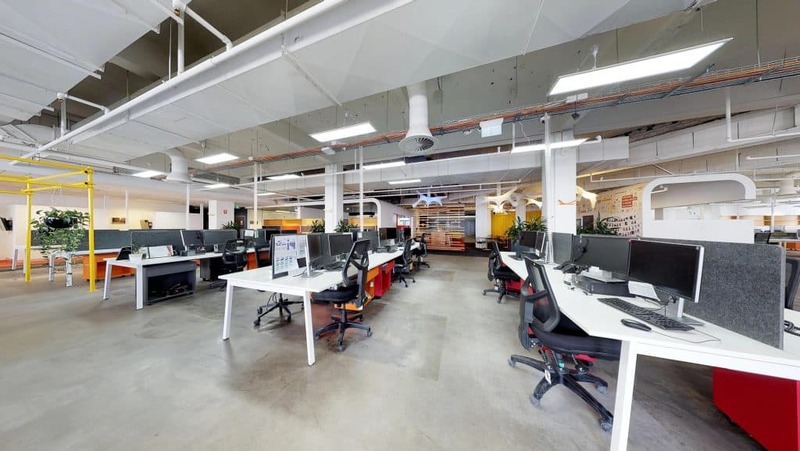 Our team of commercial interior designers in Sydney unites design and practicality to bring you workspaces that enhance collaboration and efficiency. Whether your office space is 100 square metres or 10,000 square metres, we employ a number of innovative processes that help us determine which design options are the best for enhancing your business. For more enquiries about our services, call us on 1300 947 266 or fill in our contact form here: https://www.zirconinterior.com.au/contact/.